When the N.P.R.R. crossed the Red River in 1871the city of Fargo was formed. The railroad fueled the city, bringing in large numbers of people and along with the people came the need for industry. 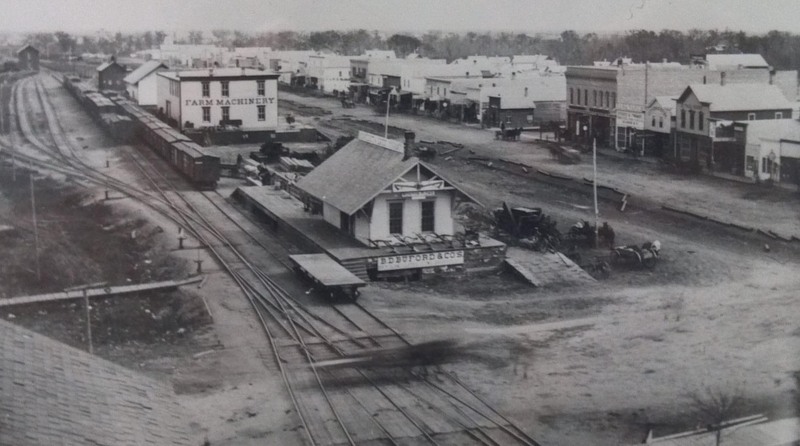 Fargo grew around the railroad tracks as is visible in the above 1880 photograph. The main N.P. tracks travel East and West along Front Street. 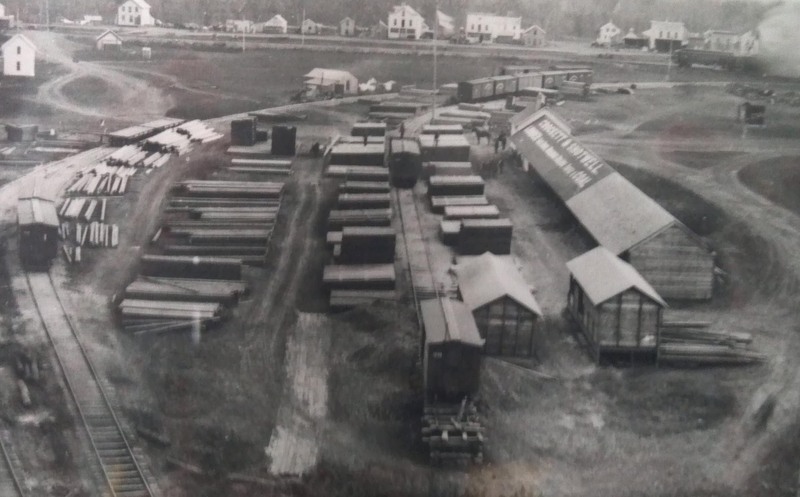 The railroad had spur tracks that ran to several businesses including Crockett & Shotwell Lumber. Businesses along the tracks were some of the most profitable in the city as they had direct access to shipping and receiving goods. The businesses that were not located on the spur tracks had to use more common methods of transportation including horses, oxen, carts and human laborers. The site of the railroad bridge crossing the Red River from Moorhead into Fargo was a very thought out, strategic and secretive plan. Thomas Hawley Canfield and George B. Wright traveled the Red River Valley in search of a crossing point that would not flood with the Red River in the spring. Once N.P.R.R. was in control of both the eastern and western banks of the Red River and the crossing was announced, land speculators rushed to the area to purchase the very valuable land. These earlier settlers opened the first industries in Fargo and paved the way for the growth and prosperity of the town.